Is Debt Necessary for Economic Recovery? reacting to Cameron's statement, semi-withdrawn but not really, that what Britain needs is for everyone to pay down debt, said in obvious obliviousness to the fact that if everyone cuts spending at the same time, income must fall. Larry pays Willy $1,000 to work on his land and harvest food. Willy spends his remaining $900 on buying some of the food from Larry. Cathy spends her $100 in interest income on buying some of the food from Larry. Larry eats the remaining food that he hasn't sold to Cathy or Willy. Willy pays $100 in finance charges on his outstanding debt of $500 to Cathy, which is rolling over at the interest rate of 20 percent per period. In addition, Willy pays another $500 to Cathy to extinguish his debt to her. Willy spends his remaining $400 on buying some of the food from Larry. Cathy spends her $100 in interest income, and her $500 in principal repayment, on buying some of the food from Larry. Cathy spends her $100 in interest income on buying some of the food from Larry, as she always has done. Larry issues $500 in new stock shares for his landholding corporation, which Cathy buys. Larry pays Willy $500 to plow a parcel of his land that was previously uncultivated. Willy spends $400 + $500 = $900 on buying food from Larry. The problem with this example is that you don't take in account the real world workings.....Realistically, there would be Saul, Chaim or Dov waiting in the wings to "assist". Far too simplistic. What about the multiplier effect of loaned money? 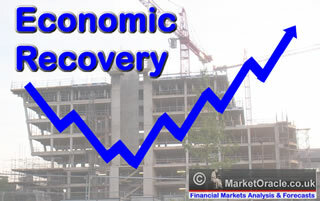 08 Nov 11, 07:19 Is Debt Necessary for Economic Recovery? When Loans are paid off to Banks, the money vanishes from the ledger. When debt is repaid - the principal of the loan is extinguished. # Willy pays $100 in finance charges on his outstanding debt of $500 to Cathy, which is rolling over at the interest rate of 20 percent per period. #In addition, Willy pays another $500 to Cathy to extinguish his debt to her. In your scenario, a private individual borrows existing money from a private individual. Without debt - we have no money supply as most money is created out of debt. So your logic is flawed and show a complete lack of understanding of how the money supply is created and destroyed. The only way that your example would work is if we had Government Issued Greenbacks (United States Notes) - unfortunately we have Federal Reserve Notes which are debt based - subsidiesd by Income Tax (IRS). I like your positive attitude to reducing the debt in the economy. I'm with you on that. But... Our money supply is created from debt - No Debt - No Money. If we all paid off a small proportion of our debts, the money supply would shrink and the economy would be driven into recession - well... we are in a recession. David Cameron suggested doing this in his speech, but the speech was quickly rewritten to prevent the Public from catching on to the fact that our money is created by private businesses (Banks). Like I said before, we could easily have an economy which is not dependent on debt if the Government created 'Greenback' money - like United States Notes. Until they do you will have to shelve this article - because it would work in that scenario.